Valentine’s Day (aka the Hallmark Holiday) is exactly three weeks away! 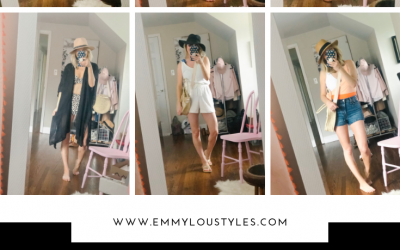 While my husband and I don’t really make a big to do of the holiday, I thought it would still be fun to share with you all of the Valentines Day essentials that I’m loving lately. You know, the best pink, red, and heart Valentine’s goodies I could find. If money grew on trees, I would certainly buy myself each of these fun little things. There are a few of these Valentine’s Day pretties making the list which I do own though so I wanted to make sure they were included in this list. 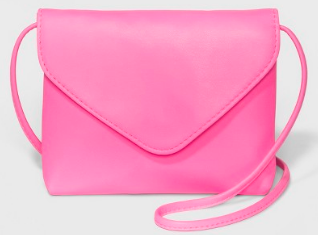 How cute is this pink envelop flap crossbody bag?! This would be perfect for a night out and big enough for all of your essentials. This embroidered beauty is currently on sale for under $50! It comes in a few different colors too! I actually own the lilac, but how cute is the red too?! 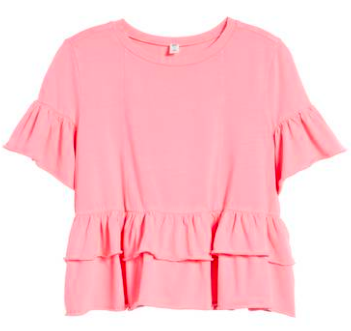 It is perfect for spring and looks oh so cute with high waisted jeans. 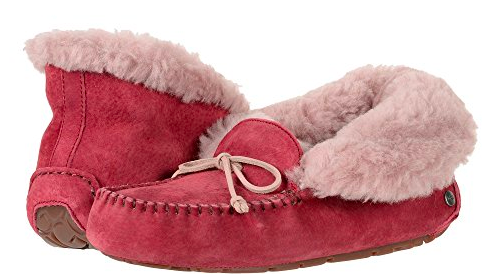 These are the sweetest shade of pink and are SO comfy. They slip right on and are perfect for errand running or wearing to your barre class because they slip right off. They come in a ton of other colors too if pink isn’t your jam. Anyone else remember wearing Junk Food brand tee shirts when they were in middle school? 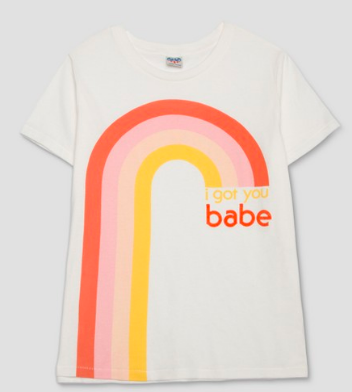 Well you can now relive your younger years in this brand and some cute retro looking tees from Target! I snagged this $25 peplum a few weeks ago for a neon new years eve party that we attended. 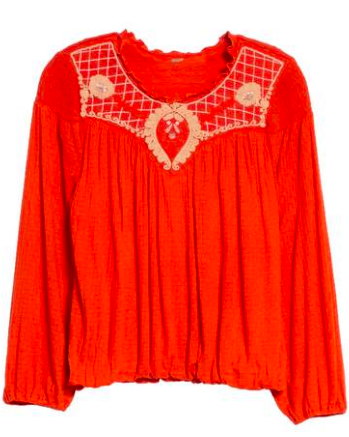 But I can’t wait to wear it with some white denim this summer! It fits TTS too (I got an XS). 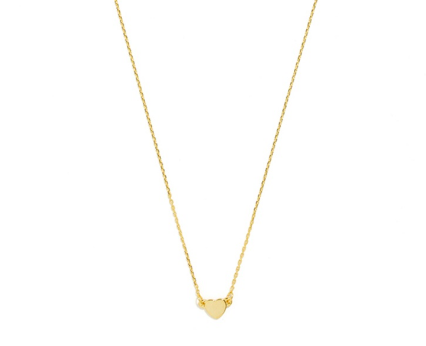 This cute little delicate gold necklace is only $18 and it’s perfect for wearing alone or layered with other baubles! 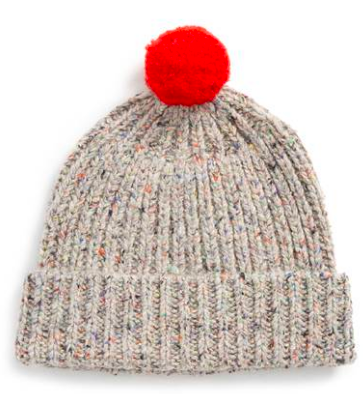 So the price point on this beanie is more than I would typically spend, but that red pom on the gray is SO cute and would go with all the things! Ladies, I got these for my birthday back in November and frankly I haven’t taken them off since whenever I’m in my house. They are such a fun garnet/pink color. I figured for slippers it was ok to branch out on something that wasn’t so neutral. These are currently 30% off – snag them NOW! Loving these Valentines Day essentials? Click here now for more Winter fashion favorites!